FREE Dessert Techniques Class At Williams Sonoma! You are here: Home / FREEbies / FREE Dessert Techniques Class At Williams Sonoma! 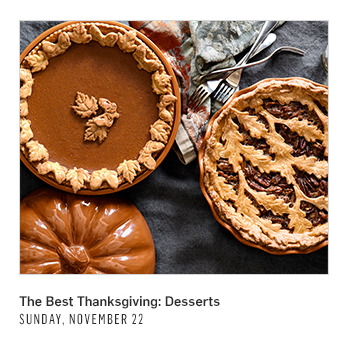 Head over here to find your local Williams Sonoma to attend a :fr class on The Best Thanksgiving Techniques! This week’s class (Sunday, November 22) is on Desserts! Possibly one of the best things at Thanksgiving dinner!